This book explains the theory and applications of the technologies used in the measurement of linear and angular/rotary position sensors. The first three chapters provide readers with the necessary background information on sensors. These chapters review: the working definitions and conventions used in sensing technology; the specifications of linear position transducers and sensors and how they affect performance; and sensor output types and communication protocols. The remaining chapters discuss each separate sensor technology in detail. These include resistive sensors, cable extension transducers, capacitive sensors, inductive sensors, LVDT and RVDT sensors, distributed impedance sensors, Hall Effect sensors, magnetoresistive sensors, magnetostrictive sensors, linear and rotary encoders, and optical triangulation position sensors. 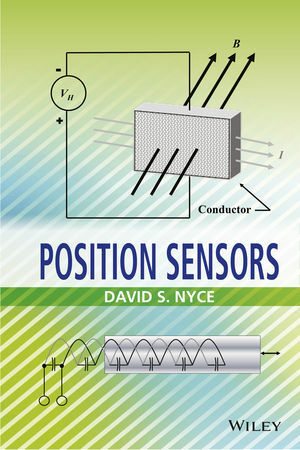 Position Sensors is written for electrical, mechanical, and material engineers as well as engineering students who are interested in understanding sensor technologies.